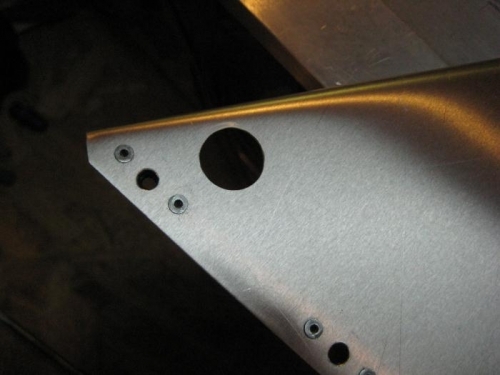 - Continued working on the fuel filler overflow pan. Drilled and counter sunk a hole in the "pan" for the drain tube. 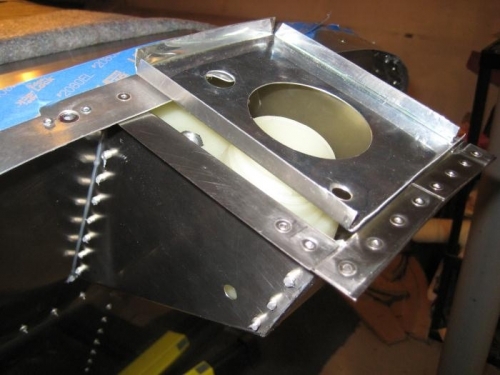 Drilled a hole in the side of the fuel filler box to run the drain tube out (photo #1). - Took apart and cleaned all the parts that make up my removeable instrument panel (photo #2). 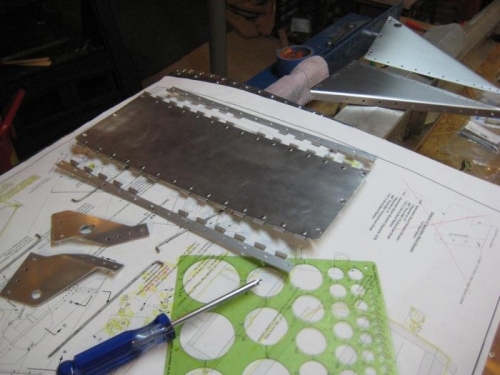 - Drilled the 5/8" hole in the upper right side of the instrument panel, for the fuel sight guage (photo #3). Overflow "pan" resting above; hole in filler box side, below. Instrument panel parts getting ready for paint. Hole in instrument panel for upper end of site guage.